Cybele Software has released the first version of their Thinfinity® VirtualUI™ software which allows you render and control a Delphi application to a HTML5 canvas in your web browser. This latest version of Thinfinity® VirtualUI™ supports the VCL framework. A previous version was called WebFMX and only supported the Firemonkey framework. Basically how it works is you add a unit to the uses clause of your application and compile it. There is a server host application that you run on your Windows web application server that will host your Delphi applications. Users connect to the server host application with their web browser and the server host application launches your Delphi application on the host machine. The output display of your app gets streamed to the web browser client and displayed on an HTML5 canvas. Input from the web browser gets sent back to the local application. It operates the same as Remote Desktop really but for a single application only. The amount of applications that can run on the web application server is limited by the amount of RAM and CPU that are available. Be aware that it also takes some decent bandwidth to remote an app like this so it works best in an enterprise setting. 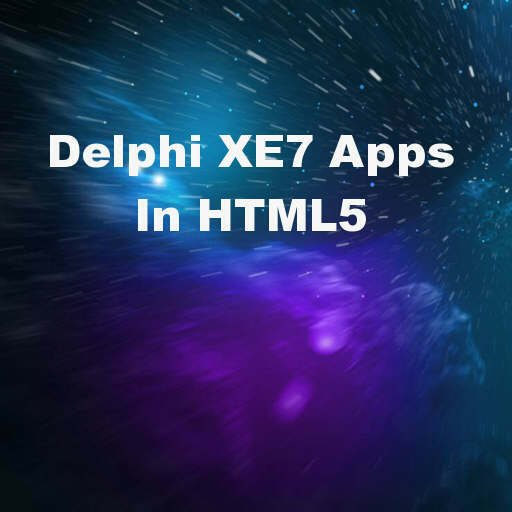 The main uses for this are if you have an application written in Delphi XE7 (or earlier) and have some users which you want to have access to the application but can’t run it on their own device for whatever reason. You can plug Thinfinity® VirtualUI™ in and have them up and running within a few minutes on your enterprise network. You could have your VCL application running on an Android, IOS, or Mac OSX device without re-writing any code by using this remoting solution. Sound is not supported as far as I know. Head over and check out the full feature set of the Thinfinity® VirtualUI™ for yourself. Check the demos (based on Fishfacts and Easy Money Manager) to see how Thinfinity VirtualUI works! We also offer a tutorial, so you can quickly try VirtualUI with your own app.